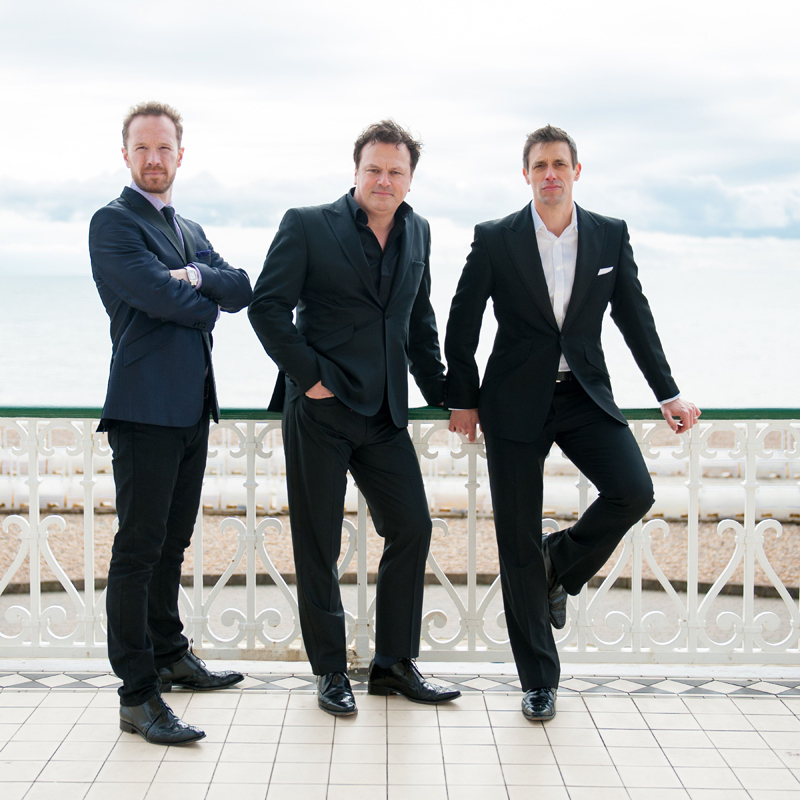 The internationally acclaimed operatic trio Tenors Unlimited will be making their debut performance at the Bermuda Festival of Performing Arts on Friday, February 3 and Saturday, February 4 at 8.30pm at the Mid-Ocean Amphitheatre at Fairmont Southampton. The group is taking time out of their US and UK tour to perform at the Festival. Tickets can be purchased online at the Bermuda Festival website or at bdatix.bm, or by phone between 8.00am and 7.00pm on 232-2255. A spokesperson said, “Tenors Unlimited – Jem Sharples, Scott Ciscon, and Paul Martin – have performed alongside such notables as Sting, Lionel Richie, Beyoncé, Hayley Westenra, Simply Red and the Royal Philharmonic Orchestra to name a few. “Using talents honed in their previous solo careers in opera and theatre, they bring their own blend of wit, charm and vocal arrangements to their performances. In the UK, the group sang at the memorial service for football legend Sir Bobby Robson and sang live at Wembley Stadium at the FA Cup final. “TV appearances on BBC’s Top of The Pops, Sky and ITV Sport has firmly established them as one of the world’s premier classical crossover groups. For more information about the trio, visit the website. Their latest album “The Journey” can be purchased on the website or via iTunes, Amazon and Google Play.